At the beginning of the same, teams from the intelligence department of the New York Police, the Secret Service and the FBI also participated, whose agents have experience in this series of cases that go back a few days after the attacks of September 11. of 2001, mentioned previously. Vanessa has been in the election campaign, along with her husband, her father-in-law and several other members of the family. Ex-Vanessa Haydon, 38, is a clothing designer and mother of five children. According to the Times, Trump Sr. teased his son on the "Larry King Show," criticizing his decision to accept a free engagement ring from a New Jersey store in exchange for announcing his commitment. The couple got married in November 2005 at Mar-a-Lago Club, a Trump property in Palm Beach, Florida. Vanessa Trump actually helped raise the profile of her new husband, taking him to charity events and making headlines in the gossip columns. She has been involved in charity efforts since she was young, including the founding of her brother-in-law Eric Trump, where she is part of the executive committee. According to police sources from the department of New York, the substance sent to the eldest son of the president of the United States has been confirmed: it was cornstarch. 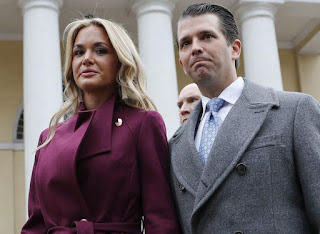 On the occasion of such news, Don Junior and his wife Vanessa Trump wanted to thank through the social network Twitter to the security forces for their quick response and help after giving the alarm. In the message, Don Junior is grateful that Vanessa and her children are safe and unharmed after the alarming situation and dismisses as disgusting that certain individuals express their opinions against this unsettling behavior, referring indirectly to the false alarm of the envelope and its contents reminiscent of 2001 anthrax attacks. 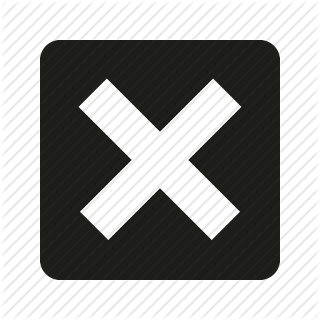 Then, days after the attack on the Twin Towers in New York, anthrax spores were sent by mail in envelopes, whose contents were white powder, to different media and to two Democratic senators, Tom Daschle, senator from South Dakota since 1987 until 2005, and Patrick Leahy, current Senator from Vermont. As a result, five people died and another 17 were infected due to the effects of the bacterium Bacillus Anthracis, which mainly affected the respiratory system of its victims. A blow that supposed the presentation to the American society of the dangers of the biological attacks. Later it was concluded that the responsible was the microbiologist Bruce Edwards Ivins, who committed suicide years later. At first, Vanessa Trump and her mother were transferred to the New York Presbyterian Hospital / Weill Cornell Medical Center after feeling "dizzy" and "vomiting" after opening the envelope, which contained a white powder, identified as cornstarch later. The fate of the envelope at first was the address of Vanessa's mother in his Manhattan apartment in the luxury residential area Sutton Place. Bonnie Haydon gave it to her daughter, who when she opened it started coughing and feeling dizzy, among other symptoms. Then they called the NYPD, who contacted the Fire Department, who showed up at their apartment on 54th Street in East Manhattan. The medical team of the firemen decontaminated Don Junior's wife, her mother and a third person, whose identity is unknown. Afterwards, they were taken to the hospital as a preventive measure. At the close of this edition, the investigation was still open, led by the New York antiterrorist forces, which deal with cases whose main clue is threats with white substances.